a little break from the color world. 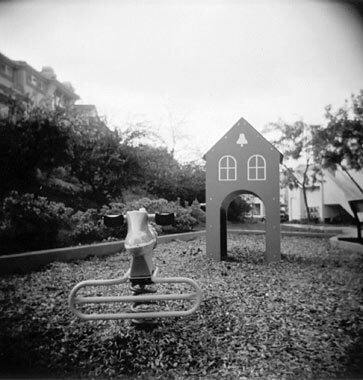 i like toy cameras, which make the world soft and pleasant. i like b&w photos, which make the world sharp and clear. beautiful, b&w | reminds me of being a kid, wish I could go back to those days where everything was stress-free and not to think about all the difficulties that could happen in a 24 hour day. these photographs are great! It makes me want to shoot with film again. Perhaps with a toy camera. very very nice, this is well composed, and is great in B&W. milo » i wish i could go back to those days… nao@mdlm » お待たせしましたぁ。光線漏れ防止にテープ貼りました。1枚目の写真、実はうっすらとツノでてるんですよ。わかります？hitoshi » 楽しみにしています、hitoshiさんのモノクロ。Ron » yes, shooting with film is fun! and with a toy camera, much more fun!lurgee » thanks! i think my holga is going to be for b&w photos.